Clues in Crochet – Part 1. Christie shifted her weight from one foot to another. It seemed to take an eternity to swallow the meaning of the letter she had in her hand. Her beloved grandma had passed away. She remembered spending lovely and interesting time in childhood at their country home. While growing up, school and career had taken priority, and her parents were not very fond of Grandma Annie, or Grannie, for short. The reason why the letter was accompanied by a lawyer, was that Grannie had left the country home and the accompanying farm to Christie. Christie told the lawyer that she would be flying down for the funeral and would only then declare what she wanted to do with her inheritance. Her parents came over to her studio apartment to frown about her decision to ‘waste money going down that village’. Her father was a banker and her mother, a school administrator. Not that the jobs made them so, but Christie always wondered how she could be the daughter of these two dreadfully boring and extremely financial minded (read: stingy) people. She believed she inherited her creative streak from her Grannie. Grannie did crochet while Christie did modern art. She did not inherit lots of facial features from Grannie, except for the resolute, stubble nose which could scare people with its determination if it had to. It was doing so now. ‘Well, yes, but younger to us, aren’t you? I say there’s no weight in this inheritance business. Why fly down to the downtrodden farm? I think you should do what the lawyer says, sell it to his firm. It will fetch you whatever meager price its worth and you can use that to finance a painting exhibition. It’s about time you had a proper launch’. Mom, dad, you don’t think painting is a real career anyway.. what does it matter if I do take a little break then? The flight was tedious, but the prospect of seeing her childhood home kept Christie energized. What Christie didn’t know, was that as she excitedly made her way from the airport to the farmhouse, she was being followed. She walked into the lovely familiar veranda, where along the birch trees was the swing she would play on for hours as a child. As she crossed the rooms full of old wooden furniture and beautiful crochet adorning the wall, she abruptly came to a halt. There was her grandmother, lying on the hearse, lifeless and cold, a couple of neighbours by her side. After the funeral was over, the local pastor handed her a letter her grandmother had left for her. I have an inheritance that goes beyond what is easily visible, something that I used sparingly to get by and to finance the causes I believed in. But there are evil eyes on it, even as I die. That is why, although I’m leaving it to you, you’ll have to search for it, using both wit and memory. Have a good look at the house, I’m sure you’ll know what I am talking about. The letter puzzled Christie. She spent some time looking at it, but it was clear that it would say no more. She walked back and forth in the house. She looked at each of the rooms. They were simply furnished, and she knew that there were no trap doors or secret passageways. What was this inheritance then? Where was it? Where were the clues? 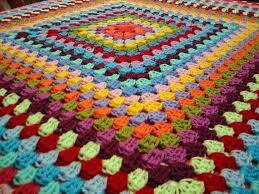 As she pondered over this, she looked at the Granny Square crochet hung over the fireplace. She smiled. Grannie sure was quirky, since the farm was square.. and she was a grandma..
Oh wait! Did that mean..
Before she could identified the source of the voice, she felt a sharp pain at the back of her head and fell forward with a dull thud. ← A book review of ‘Sookhe Ghoont’, an Anthology by Ankit Dwivedi.